Summit Urology in Bloomington, Indiana, offers specialty care for all medical issues related to the urinary tract in women and men. They also have expertise in the male reproductive system. The caring urology team takes pride in providing the best care and treatment for a variety of health needs including hormone replacement therapy, prostate problems, and other issues related to men’s health. They also believe that everyone has a right to immediate care. Same-day appointments are always available at Summit Urology for emergencies to ensure that patients have access to quality care for urgent conditions whenever they need it. The urology team believes that expecting patients to wait months for appointments when they have kidney stones and other health conditions is unacceptable. Summit Urology was designed with a patient’s convenience and comfort in mind. The facility provides advanced diagnostics and treatment technologies that includes state-of-the-art X-ray facilities, a surgical center, and a Dornier Compact Delta® lithotripsy unit for the treatment of kidney stones using shock waves. Over 90% of the procedures patients may require can be done on site. To ensure the patient’s comfort, anesthesia is provided by board-certified anesthesiologists at our onsite surgery center. Summit Urology patients can be certain their privacy during visits is a top priority: Walls have extra soundproofing, examination rooms don’t have windows, and surgical scheduling and checkout areas are discreetly located away from other patients. Summit Urology is conveniently located at I-69 and Tapp Road in Bloomington, Indiana. You can find our other location in Martinsville, Indiana. 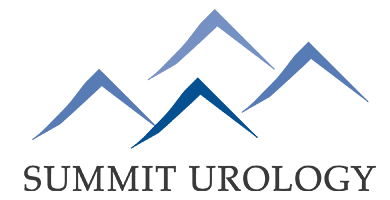 Call or schedule an appointment online to learn more about Summit Urology today.